It is pretty easy to navigate the city with your Car Rental Frankfurt as it allows you the flexibility to get around. The scenery is beautiful and the roads are well maintained but there are some rules that you should keep in mind. If driving on the Autobahn, you may only use the left lane for passing. Be careful driving too close to a car in front of you, you could get fined. Honking is strictly forbidden. All passengers must use a seat belt. Children under 12 years old must only sit in the back with appropriate child seats. Make sure to check our best rates for Car Rental Frankfurt and book now. Where to pick up your car rental in Frankfurt? CARSiRENT.com offers the following locations for you to pick up your Car Rental Frankfurt - Frankfurt Airport - Frankfurt-Hahn Airport - Frankfurt aM. 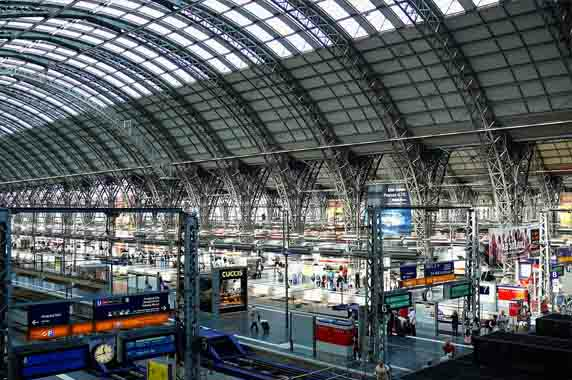 Sudbahnhof - Frankfurt/Main Central Station - Downtown Frankfurt Book your Car Rental Frankfurt in any of these locations or reach out to us if you can't find your desired location in the search form above. What do you need for your Car Rental in Frankfurt? 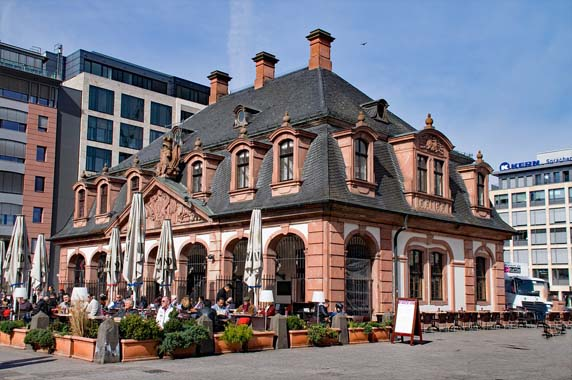 One of the top experiences you should try exploring with your car rental in Frankfurt is to visit Berger Strasse, which is Frankfurt’s longest lively street, filled with restaurants, shops, cafés, and pubs. 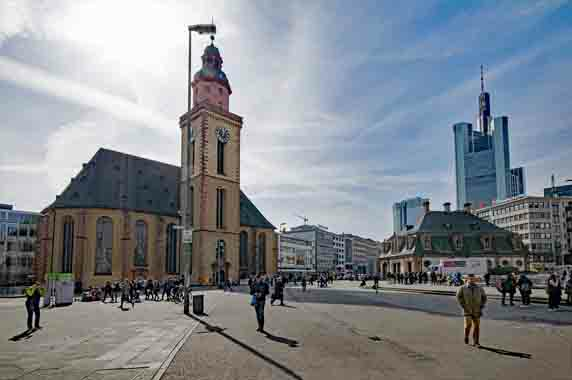 While most of Frankfurt was destroyed in World War II and rebuilt in a modern style, make sure to check out the city’s historical square, Römerplatz. If you are looking to do some shopping, head to Zeil, which is loaded with all sorts of shopping experiences. Take a river tour along the Rhine and experience the city from a whole new angle. Don’t forget to spend an evening at the opera. It's probably a very good idea to get a car rental Frankfurt and enjoy your time in the city. In Frankfurt, the summers are comfortable and mild and the winters are very cold and windy. It is partly cloudy year-round. During the Winter months, December through February, is quite cold with temperatures dropping to freezing in the evenings. During Spring, March can start off cold, with possible snowfalls and then it gradually becomes milder and sunnier in April and May. The Summer months, June through August, are warm despite the occasional cool and rainy days with some risk of afternoon thunderstorms. In Autumn, September starts off pleasant, but by October, it will gradually become more cold and wet. The first night frosts usually occur in November. You can enjoy the city's weather the most with you car rental Frankfurt. What to eat in Frankfurt? When driving around with your car rental in Frankfurt, you will want to stop and try some of the city’s best dishes. Best Worscht offers delicious Worschts with several levels of spiciness, with the Curry Wurst being the house’s special. Frankfurt is known for the traditional cider, called Apfelwein, an apple wine made from pressed apples, paired perfectly the Frankfurter Rindswurst. Everyone seems to rave about the Grüne Sauce, green sauce, which is made from hard-boiled eggs, oil, vinegar, salt, and fresh herbs served over boiled potatoes. You also have to try the Bethmännchen, usually baked around Christmas time, is a pastry made from marzipan. Having a car to get around the city is really useful. Don't forget to check your car rental Frankfurt options on the site from the search box above. There is no lack of places to see and explore with your car rental in Frankfurt. The city offers an abundance of sites to see from the arts, shopping, to historic buildings and high-rises. Here is a list of some of the best places to explore: - Main Tower - Goethe House - Cider Taverns in Sachsenhausen - Römerberg - Paulskirche - Museumsufer - Senckenberg Museum of Natural History - Shopping Street of Zeil - Palmengarten - The Museum of Modern Art - Eschenheimer Turm - Frankfurt Children's Museum - Gerechtigkeitsbrunnen - German Film Museum - Giersch Museum - Staedel Museum Enjoying the city's museums and tourists attractions can be great when you have your own car rental Frankfurt. Enter your details in the search box above and view our options of car rental Frankfurt. Where to Road Trip from Frankfurt? 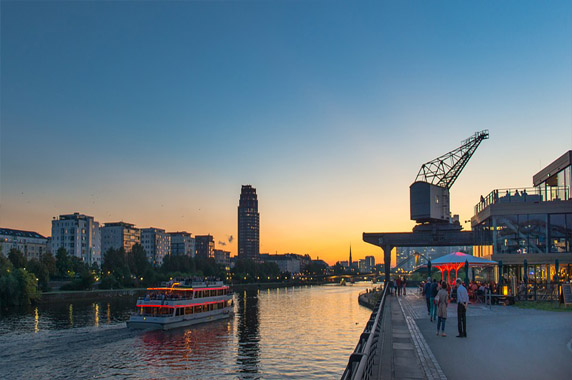 While the lively metropolis of Frankfurt is quite magnificent, taking a road trip with your car rental Frankfurt is the perfect way to explore and experience the numerous surrounding quaint medieval towns. With Frankfurt’s proximity to the Rhineland, it is also a wine-lover’s paradise. Here is a list of some day trips worth considering: - Historic Hanau - Mainz Cathedral - Rhine River Valley - Baden-Baden and the Black Forest - Rothenburg - Heidelberg - Schloss Büdingen - Darmstadt - Wiesbaden's Spas and Thermal Springs - Koblenz - Trier - Cochem - Strasbourg - Wurzburg - Cologne - Marburg Start your Road Trip now and book your car rental Frankfurt right away!